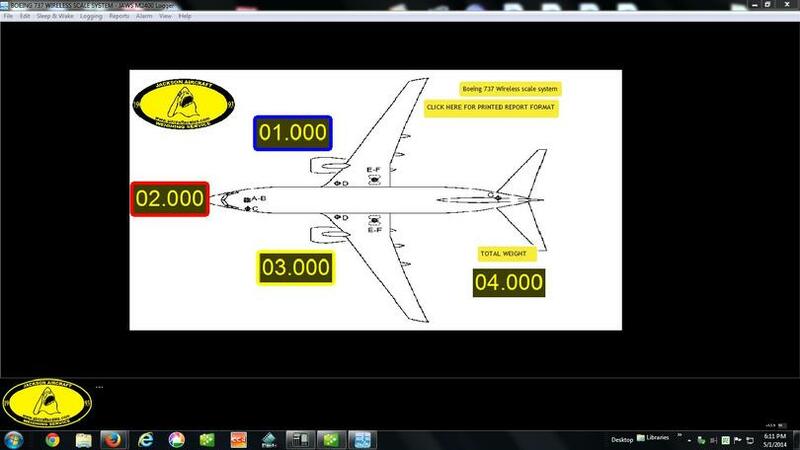 Conversion of the Intercomp large aircraft scale platform AN30-60 60,000 lb units. Complete upgrade and replacement of the Intercomp electronics package with our wireless system. Our computer controlled system is laptop, tablet and hand held based. You can have all your platforms modified, your MAP made as shown, read and print right from the laptop. We are now converting large platform system over to our wireless software and indication. 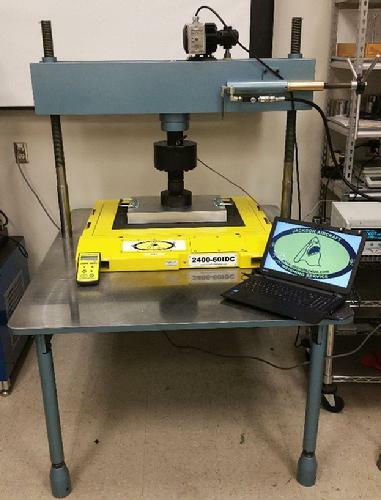 Shown is an Intercomp AN 30-60 60,000 lb platform on a Morehouse calibration table being run after conversion. We are now converting the Intercomp AN30-60 aircraft scales to our wireless systems. Having issues with your Intercomp platform scales? We can help by converting the original system indication over to our wireless systems. 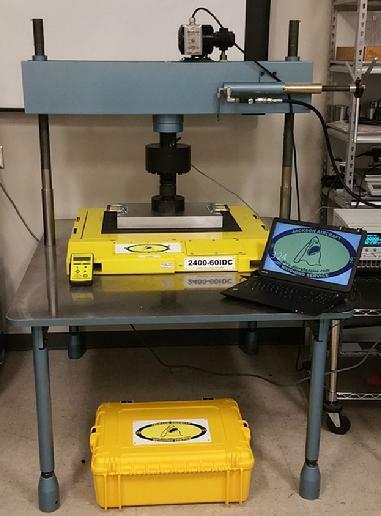 Shown here, is a standard Intercomp large format platform scale on a Morehouse calibration table. Each scale is converted, completely tested and calibrated to the standards of the original OEM. Our user friendly and easy to use HH2400 series hand held transceiver is a portable unit that displays all the scales and reads a total of all scales. Need advanced AWBS capabilities? We have full software capability with our Excel based wireless system. Advanced programing can be easily done by the user or we can customize to your requirements, CG, Latitude correction, Advance printing capabilities, Web server capable and can transmit to your Ipad or Android device, and yes, even to your cell phone if you like.